Teamemo - Blog Teamemo – Blog – Knowledge management as never before. 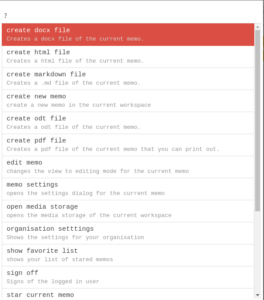 A short introduction to Teamemo in which workspaces, memos and the collaborative editor are introduced. To help you get started with Teamemo, our new help function is now available in the Teamemo software. A help topic can be selected by clicking on the help icon in the navigation bar. This then guides you through the Teamemo software and presents the corresponding functions. This makes it easy to learn how to use Teamemo. Using teamemo as an intranet. Many small and medium-sized companies do not have their own intranet. But companies with a manageable number of employees in particular can benefit greatly from an internal knowledge platform. For example, if an employee is absent due to illness, many tasks cannot be completed without asking the employee. An intranet with integrated knowledge management can help here. Through logged procedures and procedures, unnecessary queries can be avoided and employees can enjoy their well-earned vacation more intensively. 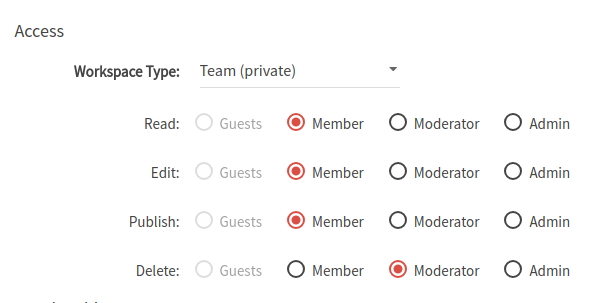 Teamemo’s rights management allows you to set how the information in the workspace can be accessed. This allows external users to be completely denied access and only internal users to access (sensitive) company data. After some tests it turned out, that it works very well for English texts, however not so well for German ones. While in LibreOffice German texts were spellchecked correctly, with nspell a lot of words were incorrectly marked as misspelled. The problem was that nspell did not support all word combination rules in the aff-Files supplied with the dictionaries and so had trouble with compound words. Adding support for the missing rules in nspell would have been too hard and so we dropped nspell as a solution. 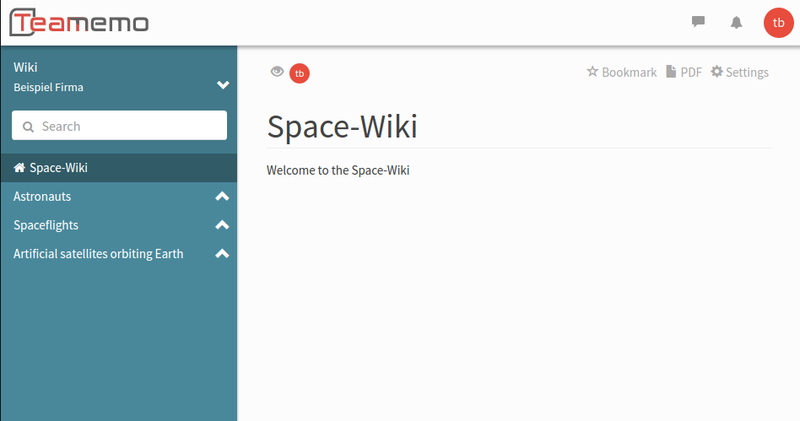 Teamemo is a modern wiki software featuring collaborative editing in an innovative WYSIWYG Editor. There is just one thing missing: The files are not present in the virtual file system, so hunspell can’t open the dictionary files. 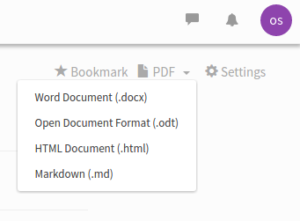 You can either specific the files in the compilation step using the –embed-file option or download the files manually using XHR and write the content to a file with FS.writeFile. The compiled JS-File has a size of 850 kB. In additional a file containing the initial memory must be loaded, which has around 150 kB. So the working example including the wrapper code has around 1 MB size, which is OK for desktop browsers, however could be problematic for some mobile devices. The performance is very good, we could not find a noticeable performance problem, even for long texts. You can check the performance yourself in Teamemo. In addition to Module.cwrap you can write the wrapper for you C-Function your own. Here is an example for the spell function. It demonstrates allocating a string on the stack calling the function and restoring the stack. Since spellchecking is quite expensive and emscripten pollutes the global scope very extensively, we run our spellchecker in a webworkers context. You can find the full example code in the emscripten-hunspell git repository. Visit teamemo.com to see the spellchecking in action. Since WebAssembly is on its way into all majors Browsers, next step would be to use wasm as a alternative in supported browsers. We think one of the most valuable things in a company is knowledge. Knowledge ensures quality, is the source of innovation and the base of your success. And it’s often distributed through the whole company. So why not merge it in one space? Each member of your team should be able to participate. So our principle is to offer an easy to use platform to share, collect and store your ideas. The best ideas develop in a team. That’s why we appreciate collaborative writing. Teamemo is the platform to bring your team together.